Mega is a file sharing service launched by Kim dotcom after the cease of popular site Megaupload. Already Mega has launched its cloud storage app for Android which helps sync files from your mobiles to your cloud drive. Now it released MegaSync desktop application for windows that allows users can upload files and sync their files with desktop easily. MegaSync is the client for Mega online storage and it provides 50 GB cloud storage for free. You have to select the default location on your computer to sync the files online. You can sync all types of files between your system and your Mega cloud drive. You have to create a new account to use this app in your computer. The app runs in the background and can be accessible through system tray. MegaSync app works similar to Dropbox, Google Drive apps but it has special feature that you can synchronize multiple folders at same time. 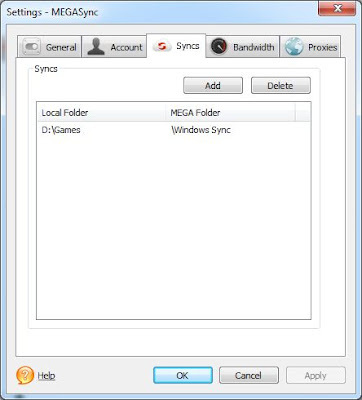 Mega Cloud lets you to add and sync multiple folders in different locations at same time. You can link all folders to your specific main Cloud folder that connects all files and folders to your Mega online storage. 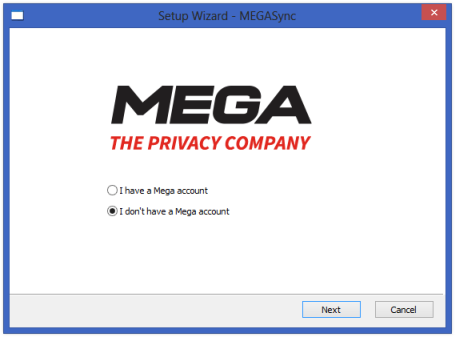 The MegaSync app for Mega cloud storage is currently in beta version and it works on Windows XP, Windows 7 and Windows 8.